France, Germany, Greece, Italy, The Netherlands, Poland and Spain have signed an agreement on Tuesday (19 November) to build an unmanned aircraft by 2020 and challenge the dominance of the United States and Israel on a market seen as strategic. Defence ministers meeting in Brussels instructed the European Defence Agency (EDA), the European Union's defence arm, to start studying the military requirements and costs of a future EU surveillance drone that could be produced after 2020. The United States has used drones to kill suspected militants in countries such as Yemen, Afghanistan and Pakistan, causing intense controversy about sovereignty and civilian casualties. But drones also have a wide range of civilian uses, including border control, firefighting and disaster monitoring. A factsheet from EDA, which groups all 28 EU states apart from Denmark, said "beyond 2020" seemed a reasonable timeframe to produce a European medium altitude, long endurance drone. "This is the starting pistol for us to be able to start work on a European RPAS (remotely piloted aircraft system) project," EDA Capabilities Director Peter Round told a news conference. Seven European countries – France, Germany, Greece, Italy, The Netherlands, Poland and Spain – have signed an agreement to invest jointly in research into various drone components, including collision avoidance technology and automatic take-off and landing. Another group – made up of Austria, Belgium, Britain, and the Czech Republic – have declared themselves ready to invest in the technologies without committing to a joint production programme, French daily Le Monde reported. The United States and Israel are leaders in the drone market and some European government fear being left behind. Military operations in Libya and Mali have highlighted a shortage of European reconnaissance capacity. Presenting proposals in July to boost European defence industries, the EU’s commissioner for the internal market, Michel Barnier, said the lesson that Europe could draw from the US espionage scandal, Prism, was “to become sovereign, independent, in strategic matters”, including drones. Britain operates Reaper drones, built by privately owned US firm General Atomics, and France has also ordered Reapers. 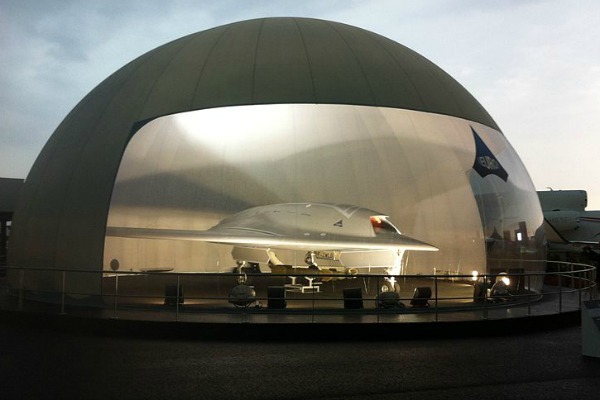 Three European aerospace companies – France’s Dassault Aviation, EADS Cassidian and Italy's Finmeccanica Alenia Aermacchi – called on Europe in June to launch a drone programme. The EU's executive Commission said in July it would help fund prototypes of some technologies, such as drones. EU leaders are trying to promote European cooperation in four key defence-related areas in the run-up to the bloc's December summit which will have a defence focus. Apart from drones, the other areas are increasing air-to-air refuelling capacity, government satellite communications and working together more closely on cyber defence. Summit preparations hit a setback when defence ministers failed to agree on a set of conclusions from their meeting. A proposal to offer tax incentives to promote cooperative defence projects was opposed by finance ministers keen to protect tax revenues, an EU source said. A reference to a more balanced development of the defence industry across EU member states was resisted by some governments with large defence industries who feared they might have to give more work to smaller countries, the source said. Drones, or Remotely Piloted Aircraft Systems (RPAS) as they are known in the EU jargon, have been long identified as a shortfall in the European defence, which relies completely on American and Israeli technology in this field. The war in Libya in 2011 exposed once more the limits of the European capabilities, especially for drones and air-to-air refuelling. Last July, the European Commission presented a paper aimed at strengthening the EU defence industry which is facing serious risks of technological losses due to deep cuts in defence budgets. Drones were included in the paper as eligible for EU funding for prototypes and for research projects with a dual use, both civilian and military. An October report issued by the EU High Representative for Foreign and Defence Policy, Catherine Ashton, reiterated the appeal to member states to develop drones with cooperative projects. Why does EU have to rush into is? We are “behind”? This is not a space race for god’s sake. Can’t we just buy couple of them if we need it so bad? There are already two manufacturers, both “allies” so why the hell do we spend money on this. There are other new technologies that need investment, something that is a part of everyday life of citizens, not this crap. We need more than only joint such as european common defence policies ! ONE BIG POWERFUL E.U. ARMY in 1 FLAG ! That is hat we needs to improve flexibility! !